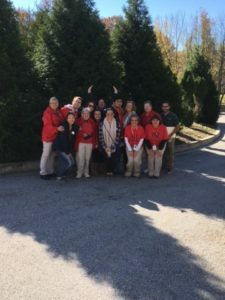 Join The IMAGE Center and the Occupational Therapy Department of Towson University for a behind the scenes discussion of our collaborative volunteer partnership with The Maryland Zoo in Baltimore. Come learn more about the unexpected opportunities that will resume this spring. RSVP is required. Please contact jleone@imagemd.org with any questions. 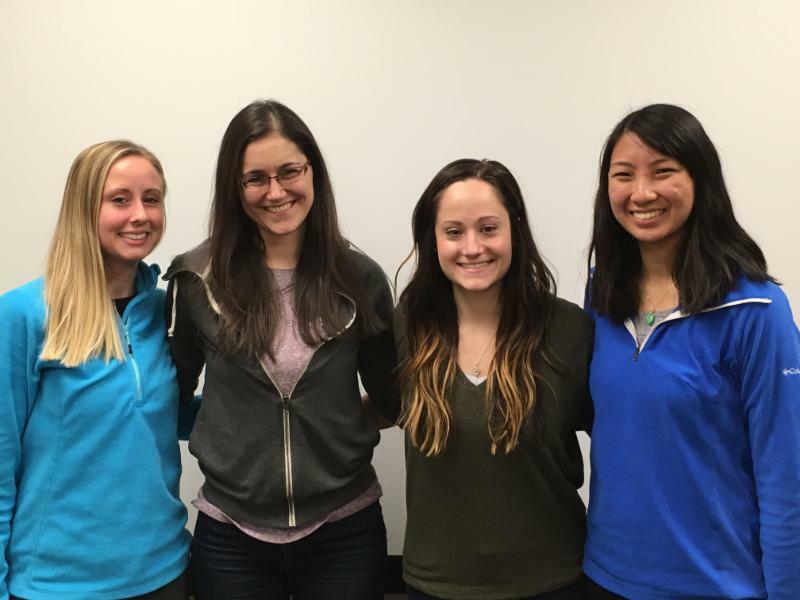 Meet our newest group of Towson University Student Interns! 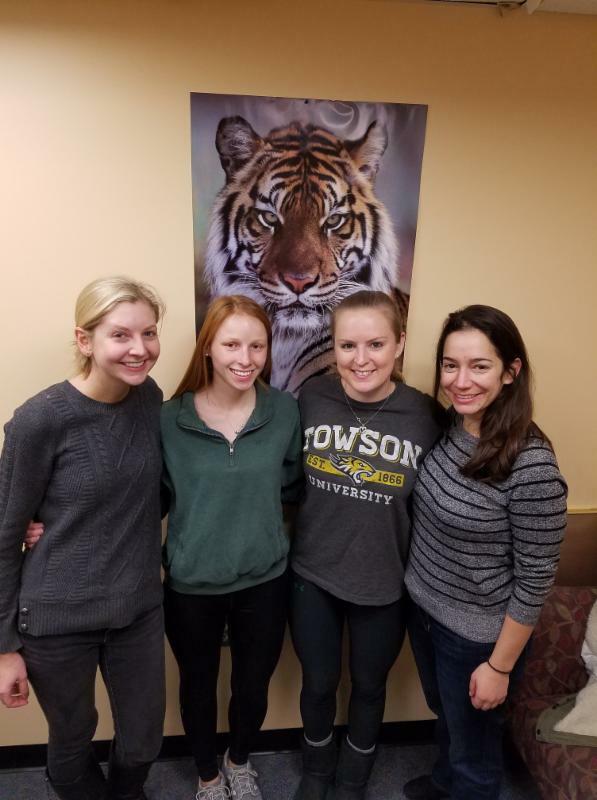 These ladies will be working with IMAGE in our collaboration with The Maryland Zoo in Baltimore to enrich volunteer opportunities and skills for our consumers. A big welcome to these ladies as they help us dive into the next spring session at The Maryland Zoo in Baltimore. Calling all Teens and Young Adults! Do you want to build skills for greater independence, explore your interests and learn job skills in a fun, unique environment? 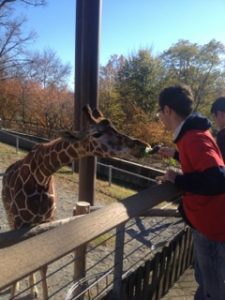 Join IMAGE this spring in collaboration with our partner The Maryland Zoo in Baltimore and the Occupational Therapy Department of Towson University as we embark on another season of enriching and engaging volunteer opportunities. One of my favorite songs goes like this, ‘’if I told you my story you would hear hope and a life that wasn’t mine and if I told you my story you would hear love that never gave up!” So hear it is January 6, 1998 there were two young parents getting ready to have their first born. Everything thing was fine until the delivery, she wouldn’t come out and her heart started to drop. They had to knock the young mother out and get to the tiny baby. 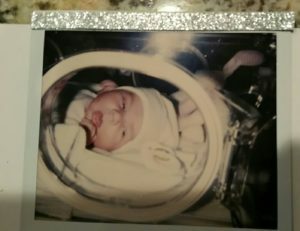 The young father held his blue little girl quickly before she went to the NICU where she spent 16 days. 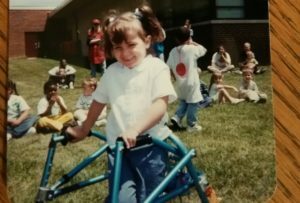 Given no hope, at 6 months fears became a reality when the doctor looked the young couple in the eye and said their baby had a life-long condition called Cerebral Palsy. This condition is caused by lack of oxygen to the brain during or shortly after birth. This has affected me in the following ways; I wobble when I walk, my speech is delayed, I have trouble grasping, and my balance is off. 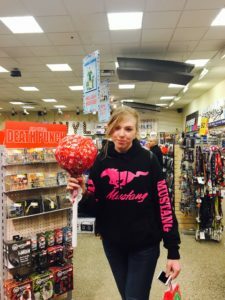 I have had seven surgeries to help me walk independently, and completed many hours of speech, physical, and occupational therapy. 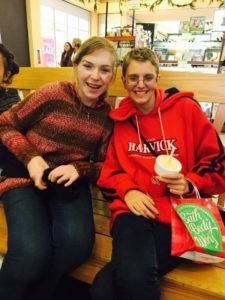 Cerebral Palsy has not stopped me from enjoying friends, completing school, laughing, showing other people love, taking pictures, shopping, dancing, and writing. I’m also applying for jobs! 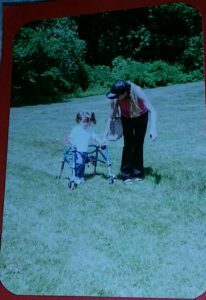 Although I have struggled since birth I have always had a contagious smile on my face and inspired many! Stay warm this winter with more programs! Join the Students of Towson University in a winter session of Living Out Loud (LOL) (Baltimore County) this February! Join students from the Occupational Therapy Department of Towson University for Living Out Loud (LOL) this winter in Baltimore County. 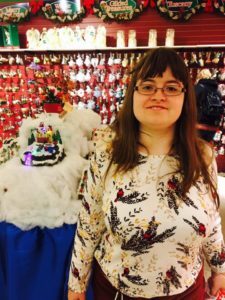 The Living Out Loud program is a designed to highlight specific skills for increased independent living through recreational experiences implemented by the students of the Occupational Therapy Department of Towson University. PLEASE NOTE THAT UNLIKE IMAGE CONNECT EVENTS THE LIVING OUT LOUD (LOL) PROGRAM SESSIONS ARE FACILITATED SOLELY BY THE STUDENTS OF TOWSON UNIVERSITY. ANY PARTICIPANTS UNDER THE AGE OF 18 MUST BE ACCOMPANIED BY A PARENT/GUARDIAN FOR THESE SPECIFIC EVENTS. THIS SESSION WILL NOT BE ACCOMPANIED BY ANY SESSIONS OF IMAGE CONNECT AND IS STRICTLY A LIVING OUT LOUD EVENT, HOWEVER, IMAGE IS HAPPY TO COLLABORATE THIS WINTER OPPORTUNITY FOR OUR PARTICIPANTS. The IMAGE Center in collaboration with the Occupational Therapy Department of Towson University . invites you to join in a brief winter session of Living Out Loud (LOL). 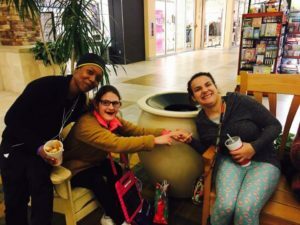 The Living Out Loud program works to promote opportunities for participants to informally meet alongside Towson students to participate in inclusive events and happenings in and around the community designed to address vital skills for independent living. 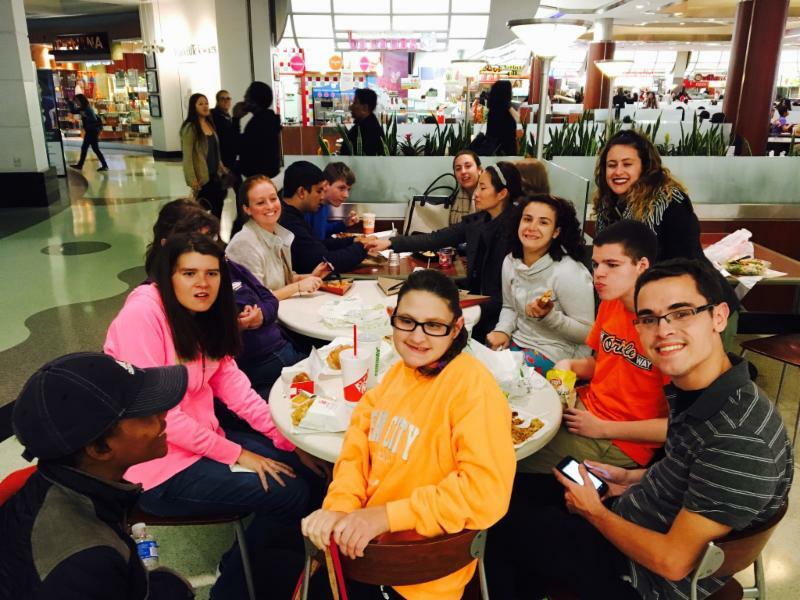 ALL LIVING OUT LOUD program locations are TBD by the group and will occur in Towson (Baltimore County). Always fun with Image! This group helped me believe in myself . I love this group! It taught me I can be a successful young adult! Been with them since I was like 14 it has helped me grow and not be afraid of going out independently and speak up for myself!! Stay Warm this Winter by Getting Connected! Stay warm this winter by staying Connected! 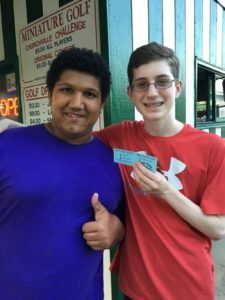 Register for IMAGE Connect for Teens and Young Adults today! Join IMAGE in Harford County this winter for session activities designed to build opportunities for increased money management skills, social and communication skills and time management skills. This includes special holiday events that will take place in December and service projects happening in the community through out the winter. Register today! *There may be additional cost for social hour including food, drink or any other additional outing fee. 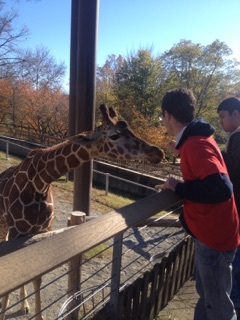 Recently IMAGE Connect/LOL participants had the opportunity to participate in a volunteer service project at The Baltimore Zoo alongside the Occupational Therapy Students at Towson University. 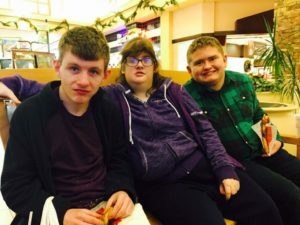 Not only did participants gain insight into the benefits of volunteering, they gained invaluable recreational experiences throughout the day and engaged in job seeking and employment skills as well. 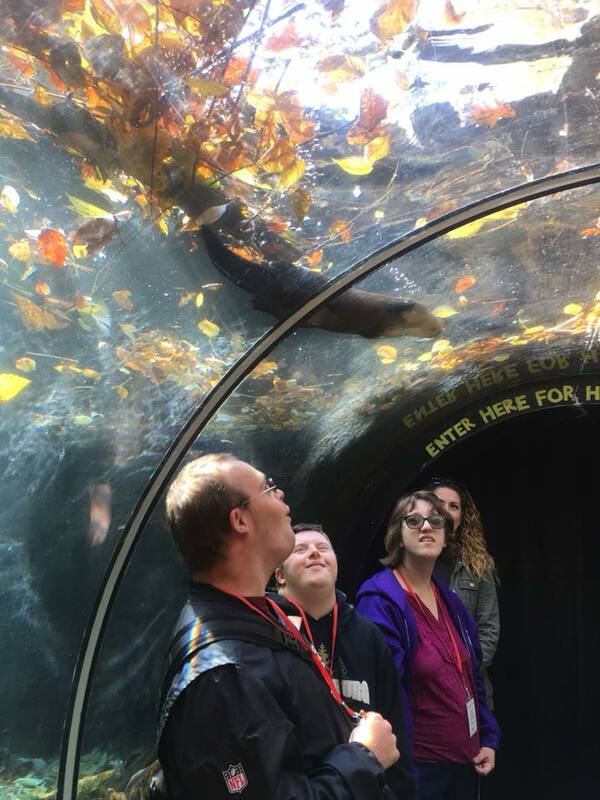 We are thankful to the students of Towson University and The Baltimore Zoo for helping to provide such a meaningful experience for our participants! We hope you are doing well and we hope to see you tonight at the office for some pizza and fun!! New Programs start in Baltimore County October 12th! Join The IMAGE Center in collaboration with the Occupational Therapy Department of Towson University for the Connect program for teens and young adults. 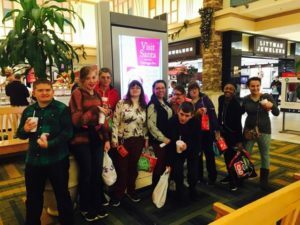 The Connect program is designed to empower young adults to achieve skills of self advocacy, build opportunities for self exploration and increase skills for increased independence. Connect will kick off for 6 total weeks beginning on October 12th and ending on November 16th and will take place at The IMAGE Center on two Wednesday’s of each month from 6-8 pm. Dates include October 12th, 26th and November 2nd and 16th. 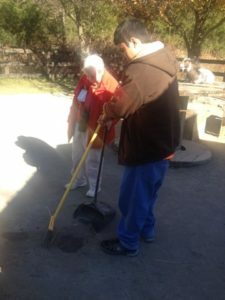 All lessons will center around critical skills for independent living including safety awareness and community mobility, meal preparation, money management, and learning to advocate future aspirations. Additionally this session, registered Connect participants will also have the opportunity to participate in Living Out Loud (LOL) which will meet in conjunction with the Connect program (on the off weeks that the Connect program does not meet). 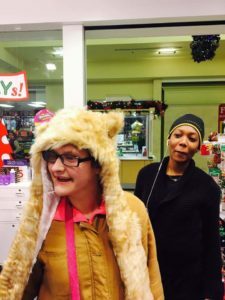 Living Out Loud works to promote opportunities for participants to informally meet alongside Towson students to participate in inclusive events and happenings in and around the community. The optional Living Out Loud meetups will be open to Connect program registrants on the weeks of October 17th and November 7th. Days and times for those meet up sessions will be announced after each Connect program session based on community events and happenings. *Please note that both programs are covered under the registration fee. Register now and empower your child to get Connected and begin Living Out Loud!